Our Staff and Instructors - Bluewater Scuba - "Where Nashville Learns To Dive"
Hello fellow divers. 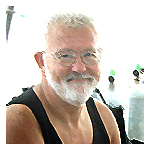 My adventures in diving started in October of 2006 after a snorkeling trip to the Keys. I knew then that diving was for me. As my interest in diving grew so did my interest to help others learn the adventures of diving as well. Becoming an Instructor gave me the chance to help others with the same passion for diving as I have. With well over 250 dives I’ve had the pleasure of diving in the Key’s, St. Johns, Belize and a trip on Blackbeard’s. One of my favorite dives of all I would have to say…Epcot in Orlando. I also can’t forget the local diving as it is also a treat when I’m not able to make a trip to the deep blue sea. 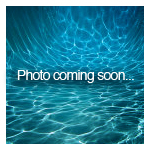 So wait no more and come join the Dozman for an adventure of a lifetime in our underwater world!!!!! Lucile is a Nashville native, and even though she has always been a beach bum at heart, she didn't start scuba diving until she studied for a semester abroad during college. 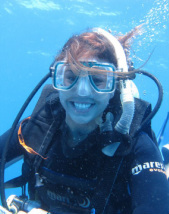 After graduating from Vanderbilt University, working in the dive industry has given her the opportunity to work and travel in Australia, The Bahamas and The Florida Keys. Some of her other favorite dive locations include Thailand and Fiji.